In order to become closer to both our clients and our community, we enjoy immersing our company in charity and other community events. Approaching quickly is the Russo Family Foundation Golf Tournament on September 9thfor the Russo Family Foundation, which raises money to provide those women in need with free mammograms. If you are interested in participating in the tournament or supporting in another way please call our office, we greatly appreciate any support. On October 12th it the annual Saugatuck Cup,which is held at Westport Outfitters. The Saugatuck Cup is co-sponsored by Rocco & Associates’ very own Eric Johnson. The cup is a charity fishing tournament that raises money for the Children’s Tumor Foundation and Memorial Sloan Kettering Pediatric Day Hospital. For more information please visit www.SaugatuckCup.com. There will be tickets available for $50.00 to attend the after party should you not care to fish, but would still like to support the cause. These tickets will give you access to the event, a world class raffle, food, and drinks. Later this fall we are very excited to be hosting our first Health & Wealth seminar; more details will be made available in the next few weeks. We hope to see some of you at these upcoming events; if you have any questions about any of them please don’t hesitate to call our office! As a small independent business we pride ourselves on the growth and accomplishments of our close knit team. In late July we promoted our current intern, Joseph Petti, to Business Development Associate. Joe will now assume a larger role as he begins to work part time while attending Fairfield University. Joe’s help around the office will be much needed as we look to refocus the efforts of our other team members on better serving our clients’ needs. Joe Petti will work very closely with our Director of Business Development, Eric Johnson. Speaking of Eric, he recently passed his Series 6 exam and continues to prepare for the Uniform Combined State Law Exam (Series 66) which he will take this month. Reacquiring his licenses after years away from the industry is not an easy accomplishment and we applaud Eric for his effort and commitment. Outgoing Message from Business Development Intern Joseph Petti. 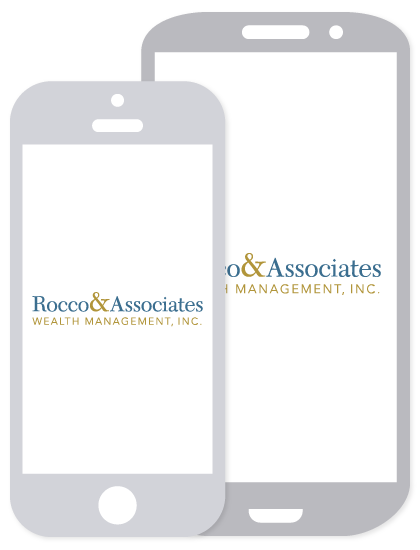 Rocco & Associates Wealth Management acts as a charitable conduit Hello Rocco & Associates’ clients and friends! I hope you’re all enjoying the summer and spending time with your families while the nice weather allows it. My last week as an intern has finally come to an end, but I can’t help reflecting on the memorable experiences I have had at Rocco & Associates. It’s hard to quantify the amount that I have learned this summer about the financial industry and general work-life balance. I guess the best way to express how much I enjoyed my summer internship is by accepting a job with Rocco & Associates for the fall semester. With that being said, I am ecstatic to have the opportunity to continue to work with the Rocco & Associates team and look forward to meeting many of our clients over the next year. Enjoy your summer folks!